Executions Hit Global 25-Year High in 2015, Decline Continues in U.S.
NPQ has been covering the steady decline in the use of the death penalty in the United States, but in contrast, we must also note the uptick in executions in some countries abroad. Now, Amnesty International’s newest review indicates executions, globally, have hit a 25-year high. Amnesty’s secretary general Salil Shetty says that the fact that 1,634 civilians were executed in 2015, and that this constitutes a 50 percent increase from the year before, is “profoundly disturbing.” According to the statistics, 90 percent of those executions came from three countries, all of which are already well known for their numerous executions: Iran, Pakistan, and Saudi Arabia. According to the report, these figures do not include China’s possible total executions, which could be in the thousands per year, because the “death penalty data is treated as a state secret” there and the exact numbers are not divulged. However, it is believed that China executes more people than the rest of the world combined, given the size of its population. Rounding out the five countries with the most executions last year was the U.S.—with 28 executions, a distant fifth. The method of execution at each of these countries ranged from lethal injection in the U.S. to beheadings, hangings, and firing squads. “In 2015, governments continued relentlessly to deprive people of their lives on the false premise that the death penalty would make us safer,” said Shetty. 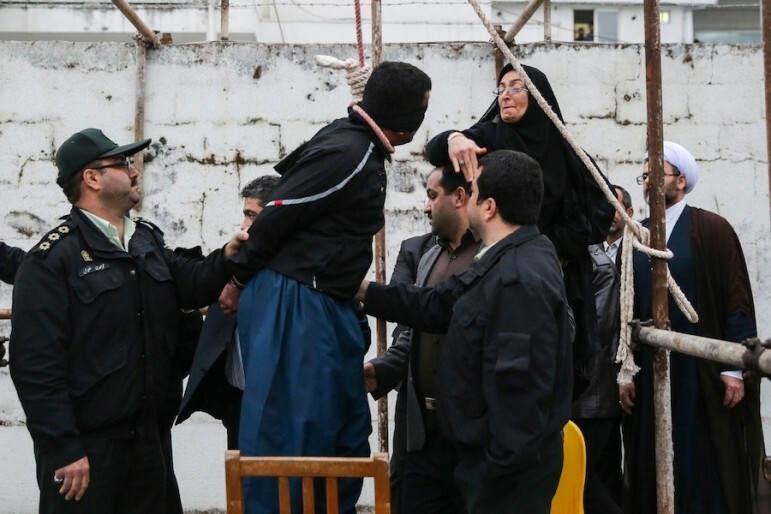 Iran executed 977, mostly for drug-related crimes, compared to 743 last year. Four of those executed were also under the age of 18 when their crimes were allegedly committed. Executions in Saudi Arabia rose by 76 percent this year to 158 people. The surge of executions in Pakistan is due in part to the lifting of a seven-year moratorium in December 2014. In 2015, the country executed more than 320 individuals, the highest number ever recorded in the country by Amnesty. Thankfully, countries that execute belong to a small and increasingly isolated minority. The majority of states have turned their back on the death penalty, and in 2015 four more countries completely removed this barbaric punishment from the laws. Fiji, Madagascar, Republic of Congo, and Suriname all abolished the death penalty last year. Mongolia also passed a law that would end the death penalty in that county beginning this year. Moreover, while the U.S. may remain on this list of the top five for several more years, it is still moving in the right direction. There has been a steady, deliberate decline in executions since 2012. In that vein, the U.S. is joining the global movement away from the death penalty. A combination of factors, including a lot of diverse legal advocacy by nonprofits has slowed the use of the death penalty in the U.S. very significantly.